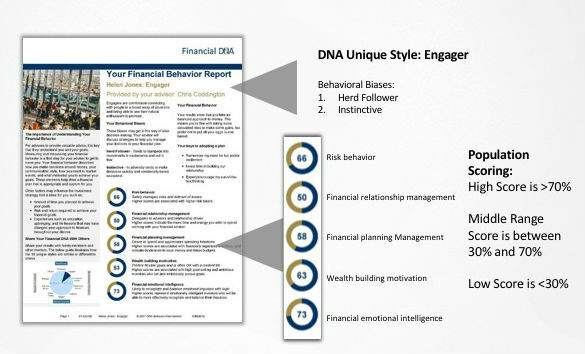 The Financial DNA free trial, the behavioral finance platform used by financial advisors to discover the communication styles, behavioral biases, and risk profiles of clients. With our free trial for advisors, you can experience how Financial DNA Natural Behavior Discovery works. Upon completion, you will immediately receive a digital copy of your Financial DNA Summary Report highlighting your core financial personality. Know your client’s complete financial personality. Engage clients with interactions catered to their communication style. Grow client wealth, retention rate, and referrals.